The Superior and Chippewa National Forests in Minnesota are collaborating with the Minnesota Department of Natural Resources (DNR), Division of Forestry, towards the successful implementation of the Good Neighbor Authority (GNA). The GNA allows the national forests to enter into agreements with a state forestry agency whereby the state administers the timber sale. The goal of the program is to enhance forest management and improve forest health on federal forestlands. The Forest Service remains responsible for all the planning activities required under the National Environmental Policy Act (NEPA). Any national forest project considered for treatment through the supervision of the state under GNA must have been approved through the NEPA process. An example of a recent GNA project on the Superior National Forest is the Trapper Creek timber sale. This area on the forest had been previously NEPA approved and the treatments would help achieve the forest plans’ desired future forest conditions. Treatment activities had been delayed due to access restrictions. 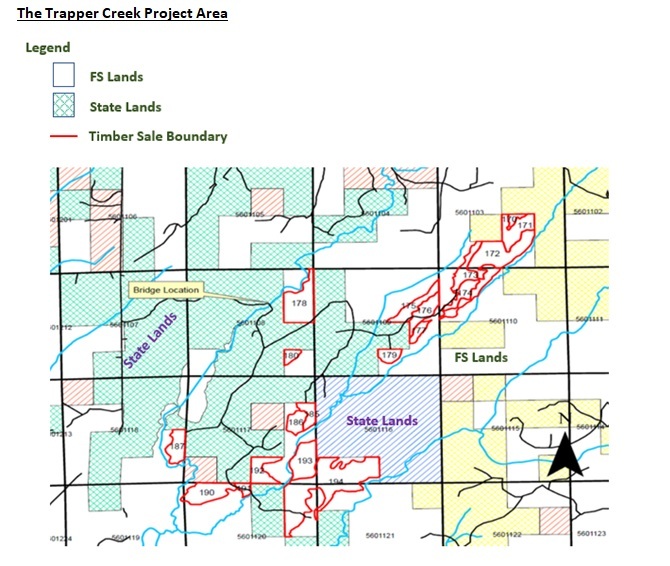 Under the GNA, the Trapper Creek project allows the state to perform the timber sale appraisal and administration on the federal lands (in white) in combination with the adjoining state lands (in blue). The combined project will treat timber stands in declining condition, stimulate young forest regeneration and support the local economy. The state lands, previously without access, are school trust lands and the benefits achieved through this project will be returned to the school trust account. The State recognizes the long-term benefits of working with the national forests under the GNA. Successful projects will help improve forest health and the environment, contribute to the economy, and support local communities within the heavily forested northern Minnesota region. “Healthy Forests / Healthy Communities” and the Good Neighbor program look to be a good complement to each other.